A tussle over territory between the Asian nations is more consequential given deepening economic ties. Beijing wants access to the Indian consumer; New Delhi cannot be picky about foreign capital. The mutual financial embrace is a new reason for both sides to keep the peace. India's military has increased operational readiness along the eastern Indian border with China, Reuters reported on Aug. 11 citing sources who were briefed on the deployment. Neither side shows any sign of backing off from a face-off in a remote Himalayan region near their disputed frontier. Troops from the two countries have been embroiled in a seven-week confrontation on the Doklam plateau, claimed by both China and India's tiny ally, Bhutan. The sources said they did not expect the tensions, involving about 300 soldiers on each side standing a few hundred feet apart, to escalate into a conflict between the nuclear-armed neighbours, who fought a brief but bloody border war in 1962. Early in June, according to the Chinese description of events, Indian guards crossed into China's Donglang region and obstructed work on a road on the plateau. The two sides' troops then confronted each other close to a valley controlled by China that separates India from Bhutan. The valley gives China access to the so-called Chicken's Neck, a thin strip of land connecting India and its remote northeastern regions. China has repeatedly warned of an escalation if India does not order its troops back. 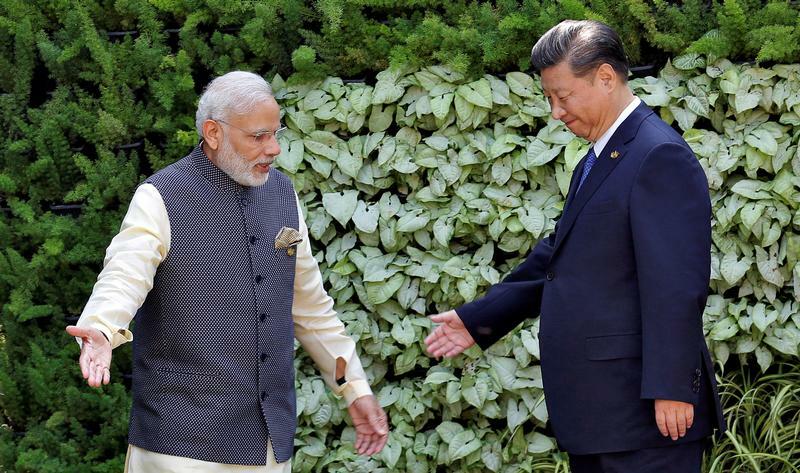 The state-controlled Global Times said last week that if India's Prime Minister Narendra Modi continued the present course of action in the border, Beijing would have to take "counter-measures".